UPESEAT Result 2019 : The UPES Engineering Aptitude Test taken by the School of Engineering of the University of Petroleum and Energy Studies. The UPESEAT Exam is mandatory for UPES B.Tech Admission and B.Tech. LLB (Hons.) courses offered in the university. The Exam is a gateway for all interested students to get admission to some of the unique programs. Thus the Exam and the Results are having a good reputation. UPESEAT Result will be announced in the Mid of May 2019. And After the Result Counselling and Admission Procedure will be held in between June July. Exact dates will be updated in this table. 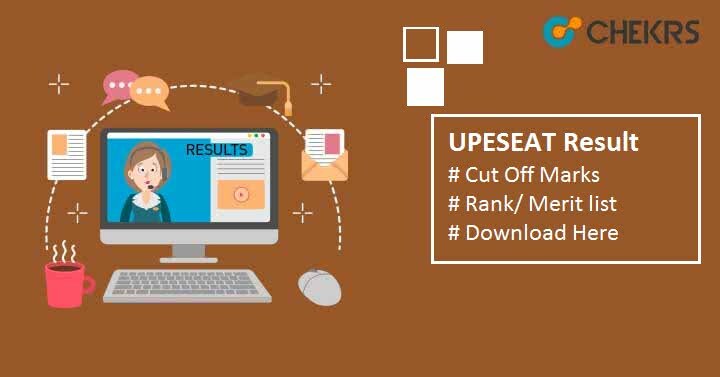 How to download UPESEAT Result? All the Candidates who appeared in the exam can download the UPESEAT Result 2019 from the website or by going through the following procedure. Find the link of UPESEAT 2019 Result on the Top of the page or You can also go to the Admission and then Result. After clicking on the result link, You will be redirected to a short form. Now Enter UPES Application Form Number, and Registered Mobile Number at the field. Your Result will appear there. Check your result and save it for further process. Candidates also need to score more than the UPESEAT Cut Off Mark. The Cut Off Mark Will be announced by exam authority nearby exam dates. Candidate’s Names who have more than Cut Off marks will be listed down on the Rank Card. After it, the same UPESEAT Rank Card will be released on the official website. On the basis of this Rank/ Merit List Candidates will be called for the Centralized counselling. On the Basis of UPESEAT Rank Card/ Merit List, All the qualified students will be called for Counselling Procedure. The Procedure is Offline and candidates have to fill a registration form before appearing in the procedure. On the basis of Filled choice and their performance in the exams, Seat will be allotted to them. After the registration Candidates will be called for counselling at an allotted venue. Where candidates have to go through the Choice filling procedure and Document Verification. After it. The seat will be allotted to them on the basis of seat availability, Performance and filled choice. 80% of the seats will be filled through the UPESEAT entrance exam and remaining 20% will be filled through JEE Mains and Board’s merit. After the seat allotment, Candidates have to visit the institute and complete the admission procedure.